No Valentine? Let's WINE about it! Grab your friends who are just as over it as you are, and set yourselves up for a night of non-romantic revelry. DJ Aaron will spin tunes for you to get up and dance, no worries, love songs not allowed. We will have a photo booth to capture the fun debauchery, a food truck for dinner, and to sweeten your evening Sweet Thangs will have UN-Valentine's Day cookies decorated with anti-love slogans. 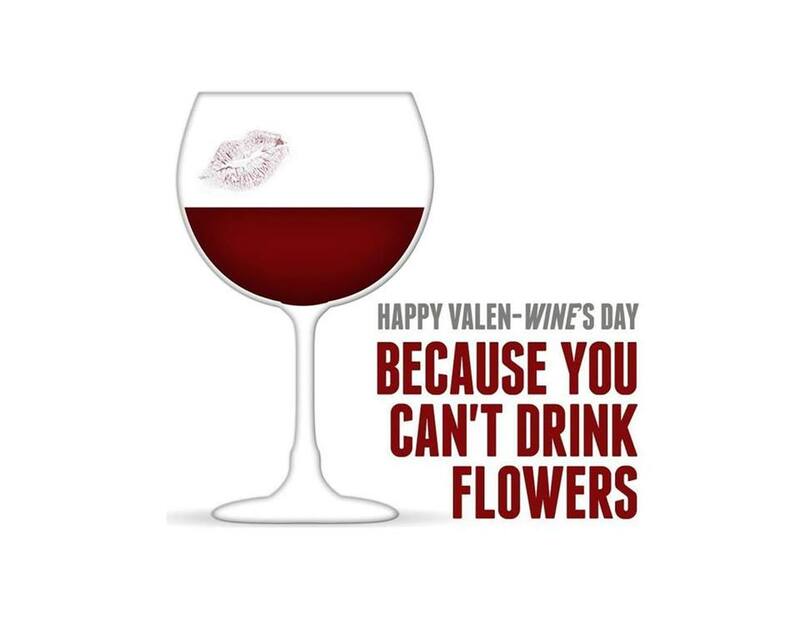 And of course, we will have lots of wine ... because you can't drink flowers! Singles, couples and anyone over this holiday are welcome to come wine with us!